You may be surprised to learn that oatmeal; yes that wonderful cereal we enjoy for breakfast, (or maybe not! ), is one of the best natural treatments for dry skin. 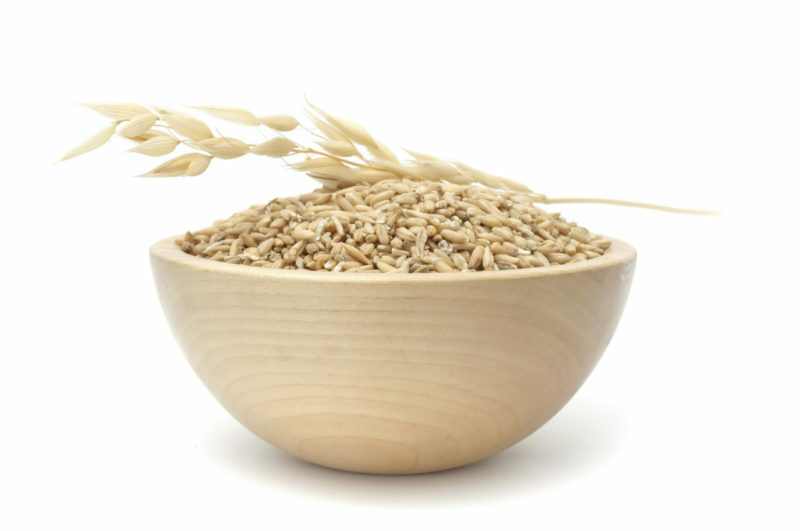 Plain rolled oats, can be used to make a gentle and very effective natural skin cleanser, facial scrub, and soothing facial mask. An excellent multi-purpose skin care treatment, oatmeal helps to relieve dryness, restoring natural moisture balance to aid in healing minor irritations due to the many causes and sources of skin sensitivities. Minor skin irritations can be caused by sensitivities to the ingredients in skin care products, exposure to chemicals found in household cleaning products, exfoliation with the wrong product, excessive scrubbing or rubbing during the exfoliation process, and many other factors. Cleansing the face with oatmeal helps to soothe skin irritation and reduce discomfort. Oatmeal, when used as a skin cleanser, actually absorbs and removes surface dirt and impurities while providing very gentle exfoliation, leaving skin smooth, soft, and clean, without soap. As a facial mask, oatmeal deep cleanses pores without irritating and drying out skin. And as a facial scrub, oatmeal gently but effectively removes dead skin cells, to reveal softer, smoother looking skin. In addition, cleansing and exfoliating with oatmeal provides the bonus of a natural, healthy glow. Directions: Grind oats in blender or food processor until oats have the consistency of flour. Pour into a jar, cover tightly, and use as follows. Oatmeal Facial Cleanser & Scrub: Pour a small amount of ground oatmeal into palm, and add a little water to make a paste. Apply to face and throat and massage onto skin. Rinse. Follow with moisturizer. Oatmeal Facial Mask: Pour a small amount of ground oatmeal into palm, and add a little water to make a paste. (For a more moisturizing mask, use milk instead of water.) Apply to face and throat and leave on skin for about 5 minutes. Rinse. Follow with moisturizer. Oatmeal Lemon Facial Mask: Add a tablespoon of fresh lemon juice to oatmeal and make a paste. Apply to face and throat and leave on skin for 5 minutes. Rinse. Follow with moisturizer. Weekly use of Oatmeal Lemon Facial Mask can help to bleach dark spots and freckles naturally. Lemon juice contains citric acid and vitamin C that functions as natural alpha hydroxy acids to help dissolve dead skin cells for brighter, more even toned skin. Caution: Fresh lemon juice can cause a tingling sensation that may become uncomfortable. For sensitive skin, dilute lemon juice with an equal amount of water before mixing into oatmeal and applying to skin. If tingling becomes severe, rinse skin immediately with warm water. Fuss-free Skincare Routines: How Long is Enough? Next Post Work Your Facial Muscles!